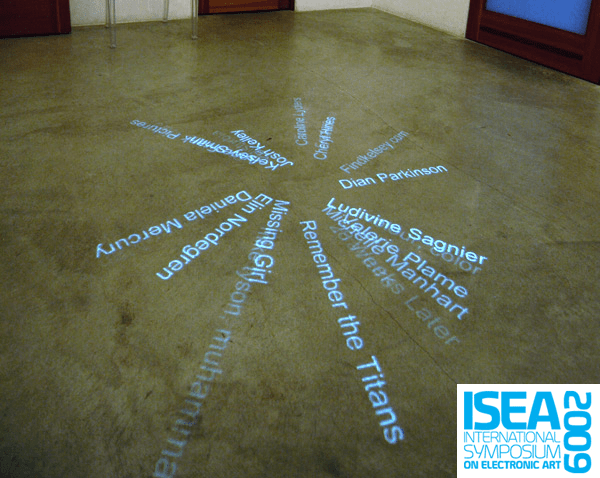 Saturday, August 29, 2009, I will be talking about Keyword Intervention in a paper titled, “Intervention and the Internet: New Forms of Public Practice” at ISEA2009: the 15th International Symposium on Electronic Art in Belfast, Ireland. Entries (RSS) and Comments (RSS). 47 queries. 1.450 seconds.